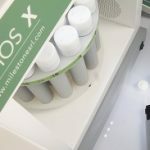 The new ETHOS X microwave extraction systems from Milestone can simultaneously process multiple samples in a matter of minutes. For environmental samples, a completely new rotor has been specifically developed to fully accomplish the US EPA method 3546 requirements and consists of a 24-position carousel that holds large pressure vessels made of an innovative and unique inert polymer material that house a disposable and inexpensive 100 mL glass vial. For total fat determinations, a further rotor has been developed that allows the chemist to carry out the simultaneous total fat determination in 12 milk and milk products samples in just 90 minutes with equivalent results to those obtained with reference methods.